New alliance brings comprehensive security and intelligence services to multinational firms and government agencies in Thailand.  A newly announced partnership between Jefferson Waterman International and PSA Asia Pacific (PSA Asia) takes security and intelligence services currently available in Thailand and the Southeast Asia region to another level. For ten years, PSA Asia has been providing high quality risk analysis and assessment to leading multinational firms operating in Thailand and to government agencies. The new partnership extends services from evaluating and identifying risks through comprehensively addressing them. Jointly offered services span security evaluations, program design, technology recommendations, and training for implementing effective counter-terrorism, counter-insurgency, counter-narcotics, facility security, infrastructure security, crowd control, defensive intelligence, and personnel protection programs. The JWI component of services — answering detected threats and vulnerabilities with security solutions — is delivered by JWI’s cadre of world-class security and intelligence experts, headed by Joe Augustyn, JWI’s Executive Vice President of Security and Intelligence and the former U.S. Deputy Associate Director of Central Intelligence for Homeland Security. JWI’s security and intelligence team also includes the world’s foremost authority on protecting large cities from terrorist attack, and specialists in intelligence operations centers; aviation security; paramilitary, counter-terrorism operations; and law enforcement.